Instructor Bios | StressTherapy Solutions, Inc.
Dr. Asif is a board certified psychiatrist in private practice for over 23 years. 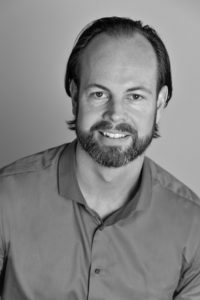 He is the founder and clinical Director of Brain Wellness Center where art of healing comes together with tools of neuroscience to provide a comprehensive objective evaluation and treatment for the body brain and mind. Our therapeutics; neuro psychotherapy provided along with transcranial magnetic stimulation and neurofeedback brain training is the most comprehensive way to address trauma, addictions and mood disorders. McGill Scott has been in Private Practice since 1998. Her specialties include Assessments – including neuropsychological assessments, various types of therapy with children and adolescents, Neurofeedback – children, adolescents and adults, Supervision of other Psychologists and Counselors in a variety of areas including Neurofeedback. Psychologist with over 15 years of clinical practice, Master in Neuroscience (MNeurosci) by the Center for Neuroscience and Behavior (NEC) – USP / SP and the first Brazilian to receive certification in Neurofeedback from the BCIA. Dr. Cantor obtained his Masters and Doctorates in Psychology at the State University of New York at Stony Brook with special interests in Developmental Neuropsychology. He is trained in Clinical Psychopharmacology and holds Diplomates from the American Board of Forensic Examiners, International Academy of Behavioral Medicine, Counseling, and Psychotherapy, and Fellow Status of the Academy of Learning and Developmental Disorders, and the American Board of Psychological Specialties – Neuropsychology, and the National Acadenmy of Neuropsychology. He is a specialist with Developmental Disorder such as ADHD and Autism, Neurotrauma, Biological factors underlying Depression, and Forensics. I have been an Arizona state Certified and/or Licensed Professional Counselor since 1994, but since 1999 have been focusing exclusively on providing Neurofeedback. My certifications include being a Board Certified Neurofeedback Therapist (BCN) at the Fellow level from the Biofeedback Certification International Alliance (BCIA), a Quantitative EEG Technologist (QEEG-T), as well as a Kolbe Certified Consultant. 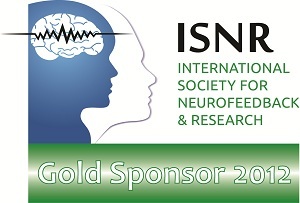 I am an active member in the International Society for Neurofeedback and Research (ISNR) which is the primary professional organization for Neurofeedback clinicians and researchers. Dr. Collura has over 35 years experience as a biomedical engineer and neurophysiologist. He has conducted clinical research and development and system design, in the areas of evoked potentials, microelectronics, human factors, EEG mapping for epilepsy surgery, and neurofeedback. Adrian Roel received his Professional License in Psychology from the Universidad de Monterrey in 1978. Since 1981 works in the field of Behavioral Medicine, and applied psychophysiology using a system’s approach and multimodal treatments in treatment of brain/mood/behavioral problems. He has been professor for undergraduate and graduate level, has made presentations in international congresses and has been a consultant for more than 300 organizations. Dr. Kerasidis was granted a fellowship in clinical neuro-physiology at Georgetown University. His training included clinical experience in epilepsy, involving evaluation of medically refractory seizures for potential surgical intervention, intraoperative electrodiagnostic mornitoring, evoked potentials, topographical mapping, EMG and the diagnosis and treatment of sleep disorders. Kathie enjoys working with adult survivors of abuse, depression, post traumatic stress disorder (military, natural disaster, abuse, etc. ); traumatic brain injury, anxiety, bereavement, ADHD, adoption issues, substance abuse, and sexual addictions. As an RN and clinical social worker, I understand medical issues that need to be considered in the overall treatment plan.